What a difference a week makes. Fishing is on fire off the Port of Milwaukee once again. The coho salmon have showed up in big numbers again. Kings are starting to show up in greater numbers and there are some absolute slobs being caught. This might be the year for the allusive 40 pounder! There are also plenty or rainbows and lakers around to keep our guests busy. The best action for us has been found in 120-190 feet of water. Coho Salmon – We are still running small dodgers and spin doctors with 2 inch flies on short cores to target both surface feeding coho and rainbows. 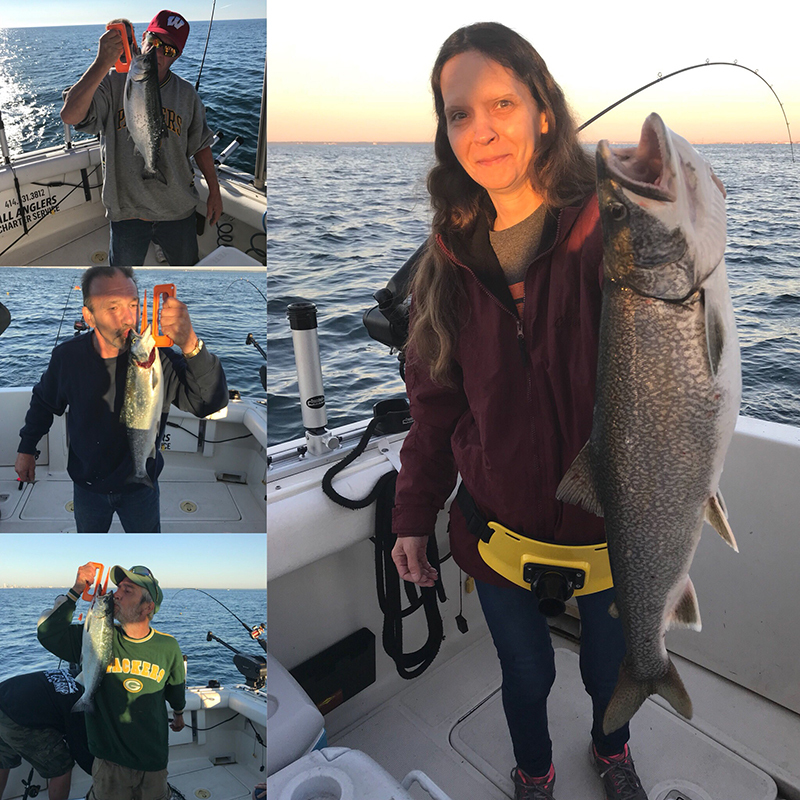 King Salmon – White flashers with either little boy blue or aqua colored flies on downriggers as well as 8in spin doctors on wire dipsys have been the most productive. Lakers and bigger cohos have been hitting these setups as well. The action will just get better from here on out. Get out and get some! !